One of Asheville Area Habitat for Humanity’s most popular builds will soon be underway in the Swannanoa community. 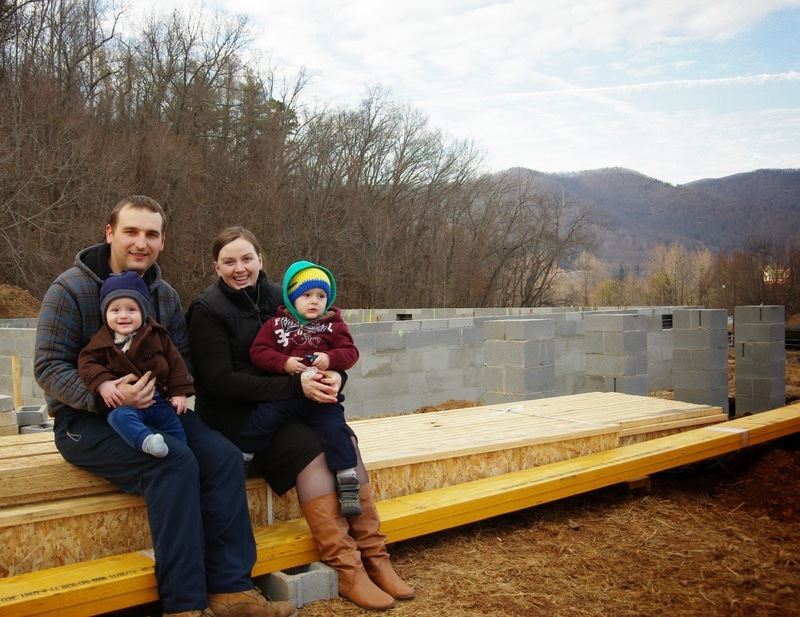 The 2014 Women Build House, future home of the Stynka family, will commence with a wall raising event on Tuesday, March 4 at 3pm. The media and public are invited to attend. The 3 bedroom/1.5 bath house will be Asheville Area Habitat’s ninth Women Build House. Women Build is a program of Habitat for Humanity International (HFHI) with one mission: to empower women to take action against substandard housing conditions. Habitat believes that women hold a solution in their hands to move children out of substandard housing – one family at a time. The project brings together individuals, community groups, and local businesses who contribute time, funding, or both. Nationally, the Women Build program is sponsored by Lowe's. They offer free how-to clinics for U.S. Women Build affiliates and sponsor National Women Build Week. Also, affiliates can apply to be chosen for a $5,000 gift card to help purchase construction materials for the Women Build House. Locally, 2014 Women Build sponsors include: “The Three Marthas”, an anonymous sponsorship donated by one family in honor of three family members (all aptly named Martha); The Minigowin Fund; and Publix Super Markets Charities. The house is still in need of funding and the Women Build Advocacy Team is leading an on-line peer-to-peer fundraising campaign. Donations of all sizes are welcome and needed in order to “Raise the Roof” of the Stynka family’s home! Rodika and Andrei Stynka are originally from Moldova. Rodika moved to Asheville about twelve years ago and Andrei arrived three years ago. They have two young sons. Andrei loves his work as a mechanic for a trucking company. He laughed when discussing it during an application interview with Habitat’s Family Selection Committee when he remarked, “You know how some really love football or soccer? Well, that is how I love being a mechanic. I am very happy I get to do it every day.” Previously employed in housekeeping, Rodika now stays home to care for their children. Rodika and Andrei’s 3-bedroom/1.5-bath home is the 2014 Women Build House.